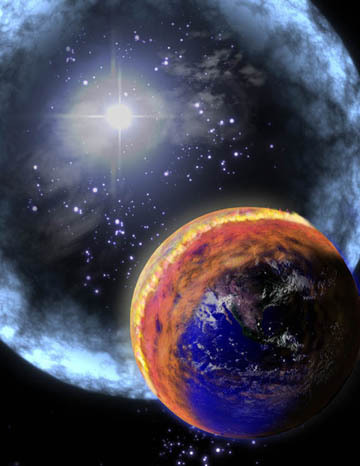 Gamma-Ray Bursts – also known as GRB’s – are one of Astronomy’s current hot topics. The evolution in understanding these enigmatic events has proceeded very rapidly from the early discoveries during the cold war to the current hypernova models and stellar remnant merging models of today. This project will go through the early stages of discovery including highlighting the space missions responsible or detecting these events. Also covered will be some handpicked GRB events to compare them with the current models. Gamma-rays themselves are not a mystery. In 1952, gamma-rays emanating from astronomical phenomenon were thought to emanate from interactions between cosmic rays and interstellar hydrogen (Prantzos, 2005). Gamma-ray emissions were even detected from the Crab Nebula in 1961 by the United States satellite, OSO-3. However, these were relatively lower energy – in the range of 100 to 300 keV. Another US satellite, the OSO-7, detected gamma-rays from a solar flare in 1972. It wasn’t until 1973 that gamma-ray astronomy became a serious topic. During this time, the Cold War between the United States and Soviet Union was in full swing, and to “determine” if the Soviets were complying with the nuclear test ban treaty, the VELA series spacecraft was launched to detect higher energy gamma-rays – higher than those detected coming from the Sun or the Crab Nebula. While no atmospheric gamma-rays were detected, gamma-ray bursts lasting an average of 10 ms to 10 s were detected in random directions on the sky rather than from the Earth, with no detection occurring in the same place twice (Hurley, 2005). In order to solve this mystery, the COS-B satellite was sent in 1975 to study these high energy sources of gamma radiation in detail. The above image (from the ESA Website) demonstrates the existence of bright gamma-ray sources within our galaxy. It was determined at this time (between 1975 and 1982 when the COS-B mission was active) that the gamma-ray sources were restricted to our own galaxy. Because these gamma-ray emissions were detected, the source of these emissions must be pretty strong – between 1038 to 1042 ergs. There was no known phenomenon to conform to this energy requirement except for neutron stars. While neutron stars themselves do not emit this much energy, their magnetic fields could provide the catalyst required to accelerate electrons fast enough and hot enough to account for this energy. Additionally, material accreted onto the neutron star – like a comet, asteroid or some other piece of debris – could be heated to the point that such energy could be generated. This model seemed to have been confirmed by the US satellite HEAO-3 when spectroscopy of a gamma-ray pulsar was shown to contain a high energy spectral line of Aluminum (Prantzos, 2005). The aluminum spectral line was thought to be from supernova. A supernova within our galaxy seems to fit with the apparent brightness detected since at least a 3 solar mass star is required to provide the nucleosynthesis to create aluminum (Charles and Seward, 1995). The stellar remnant for such a star is a neutron star. In 1991, the Compton Gamma-Ray Observatory was sent to explore a wide range of high energy astrophysics from 30 keV to 30 GeV. While this observatory carried four experiments, the most remarkable was the Burst And Transient Source Experiment – or BASTE. What was discovered was that GRB’s were not limited to our galaxy. Instead a homogenous distribution of GRB’s existed in every region of sky. The image above shows 2,704 GRB’s detected by the BASTE experiment. Basically what this means is that the majority of detections by BASTE were outside the plane of our galaxy. It was only the resolution of these new instruments that allowed rapid follow-up of GRB events to determine there locations. Another remarkable observatory - launched in the year 1994, the BeppoSAX satellite managed to capture the transient events of GRB’s – sometimes within hours of detection. 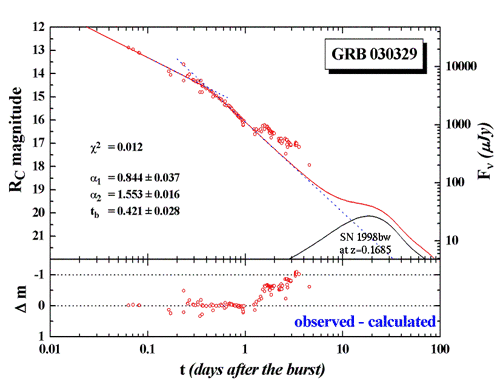 While the actual GRB event was not captured, the residual hot X-Ray afterglow was detected. This image is one such afterglow in the X-Ray wave band. This afterglow can last up to a few weeks (Hurley, 2005). While BeppoSAX was able to actually pinpoint the GRB source, it was not able to catch a GRB in the act. There are not many sources capable of producing this much energy, and this new requirement has placed the GRB as the brightest, most violent object in the Universe. In most cases, a GRB will be brighter than the combined light output of its host galaxy (Freedman and Kaufman, 2005). The graph next to each of the images shows the average photon counts – including the galaxy image which is in the center of the image – the GRB occurs near the top. Notice the counts of frame 6, as well as the overall duration. This burst lasted only about a second. The relative short-lived event like this makes them very hard to directly detect them as they burst. Our only hope is to piece together a series of satellites to form a network to detect GRB’s, and to quickly slew a telescope to the source with the hopes of looking for either the residual X-ray emission or find an optical counterpart. The network that exists now is called the Third Interplanetary Network. It is the goal of this network to detect a GRB event within 10 seconds – or less. Our atmosphere naturally blocks many of the harmful rays – including gamma-rays - so we must detect and observe these events far above the surface. There are, and have been, a number of observatories and satellites used in search of GRB’s. The list below shows all of the observatories that have either solely or partly contributed to the collection of data and the detection of GRB’s. The missions of significant contributions are in bold. Detected gamma-rays from the Crab nebula. Detected higher energy gamma-rays from the Sun. A series of four satellites designed to detect atmospheric gamma-rays: VELA 5A, 5B, 6A and 6B. Detected a total of 73 gamma-ray bursts – but not in our atmosphere. Provided the first map of galactic gamma-ray burst sources. Confirmed the spectra of a gamma-ray source – a pulsar. Detected numerous GRB’s during its all-sky X-Ray map. Primarily a solar observatory, it does contain a GRB detection device and is a member of the Third Interplanetary Network. A series of four experiments, most noted of which is BASTE – which confirmed GRB’s are not restricted to our galaxy. A Japanese X-Ray and Gamma-Ray Observatory. A member of the Third Interplanetary Network to detect GRB’s. Primarily an energetic particle and magnetic field observatory, it does contain a TGRS – Transient Gamma-Ray Spectrometer. Continual mapping of GRB sources. GRB detection and spectroscopy – follow-up X-Ray afterglow studies. A member of the Third Interplanetary Network to detect GRB’s. A GRB telescope, but also focuses on a wide variety of galaxy observation as well. A series of weather satellites that are part of the Third Interplanetary Network to detect Gamma-Ray Bursts. This section will cover a few of the GRB’s that have helped mold our current models – which will be covered later. 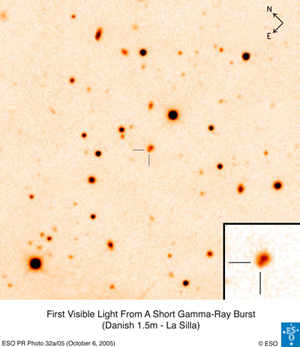 Figure 15: The BeppoSAX X-Ray afterglow image of GRB 970228. GRB 970228 is unique in that it is the first GRB to have an optical counterpart. The majority of detections by BASTE and BeppoSAX were of X-Ray afterglows. These three GRB’s were considered long and radiated energy from the gamma-ray spectrum through to radio spectrum. According to Wijers and Galama (1999), the nature of the optical counterpart is due to synchrotron emissions resulting from the reduced speed of the ejecta (thought to be a supernova). Reexaminations of the power curves of these GRB’s resulted in a similar appearance to a Type 1c supernova power curve. Figure 16: The light curve decay of GRB 970228. 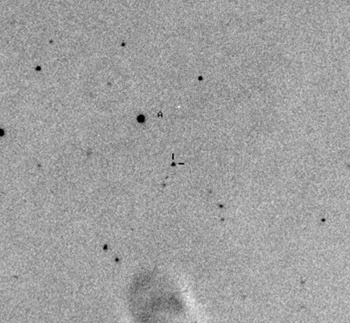 Figure 17 is an optical image of SN1998bw/GRB 980425. At first glance, this event looks just like any other supernova. Only by comparing the light-curve distribution from BeppoSAX and BASTE to other known GRB’s was the determination that this event is a GRB. Figure 17: GRB 980425 – the optical counterpart to the nearby GRB at 100 million light years. This particular GRB is special in that it was the first GRB to be simultaneously detected in the gamma-ray, x-ray, radio and optical spectrums. It is thought the result of this is due to us looking directly into the beam of the source object (star). Figure 18 shows what appears to be residual material left over from the shock waves of non-thermal, relativistic electrons – results from the internal shock waves as a by product of collisions of material at different velocities. Figure 18: Hubble Space telescope image of GRB 990123 – notice the jet of relativistic material left over from the event. This residual material is actually the surrounding medium that got in the way. This particular GRB is at the “usual” cosmological distances – greater than a redshift of 1.6. This BeppoSAX image shows a near circular appearance of this GRB event. Also notice how quickly the X-ray signature fades quickly – losing half its brightness in under 54 hours after the event. This GRB was simultaneously detected in the gamma-ray, x-ray, radio and optical spectrum. It is also one of the brightest GRB’s recorded to date (1999). Figure 20 demonstrates the double-spectrum of an energetic GRB, thought to be both the relativistic and non-relativistic shockwaves emanating from the source. This will become the typical spectral appearance of a GRB. Figure 20: The double-peaked power spectrum of a GRB. This particular GRB is also a distant event at a redshift of z = 1.5. What makes this particular event special is that its host galaxy is a starburst galaxy – that is a galaxy that is actively forming high mass stars. Figure 21 (left) is a rather boring image of the optical counterpart to GRB 010222. The spectrum of this event, as well as its host galaxy, has strong metallic lines. Continual study of the spectrum of this event suggests the beams of a GRB are more narrow than expected. In addition, this particular event was also a very bright one; however, the decay rate has been one of the slowest ever measured – taking almost twice as long for the decay as compared to figure 16. Figure 22: The decay of GRB 010222. Measurements of the electron distribution of this event support the jet model of a GRB – discussed later. This unusual event occurred at z = 0.17, that is only 2 billion light years distant. In addition, the light curves and spectra of this event are very similar to SN1998bw. Figure 23: Decay rate of GRB 030329. Notice the curve of SN1998dw on the lower right which corresponds well to the GRB event. Figure 23 shows an example of the light curve of this event as compared to the optical light curve of SN1998bw. 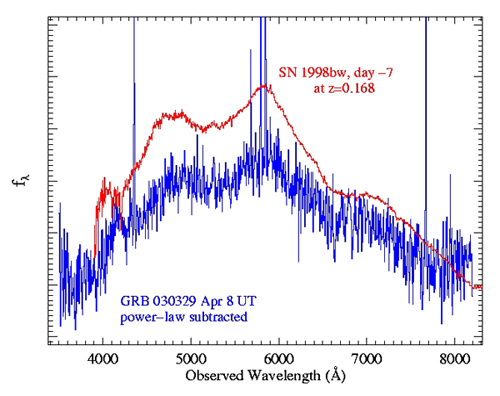 The power curves of both GRB 030329 and SN1998bw indicate a near identical appearance. The matching of the supernova spectrum with the GRB spectrum is important in determining the source of GRB’s. The HETE-2 satellite detected a 70 millisecond GRB 2,400 million light years away in a young, star-forming dwarf galaxy. Figure 25: GRB 050709 within a young, star-forming dwarf galaxy. By observing the light curve for 20 days, it was determined that this (and other) short GRB events cannot be explained by the hypernova model. Instead, this GRB was probably the result of merging neutron stars. Visible light image of GRB 050709. The light curve was observed for 20 days. This was done to determine if any significant decay line would be visible. Short GRB’s like this one lack the slow decay of long GRB’s. It is inferred that the model that describes long and short GRB’s are different. The next section will cover the current models of GRB’s. GRB’s are the Universe’s most violent event. Luckily, the vast majority of these events are at cosmological distances, with the most distant GRB detected at a z = 6.3 – that means the event occurred when the Universe was “only” 900 million years old. There is no apparent reason for this other than statistical data of the collected GRB detections – although a very novel idea is inferred by the rate of GRB’s at a high redshift. The introduction of metal into the spectrum of GRB’s in the early universe is though to be the result of massive Population III stars (Murakami et al., 2005). This supports the double-ionizations as detected by the Wilkinson Microwave Anisotropy Probe (WMAP). Both of these events have a different mechanism. A short GRB is any event that lasts less than 2 seconds. GRB 050709 and data from the HETE-2 observatory has really provided the breakthrough of determining the source of a short gamma-ray burst. These short events are very powerful, but rare to catch – that is until HETE-2. What makes the short GRB so special is that there are not jets of relativistic energy fueling the event. That is where a massive star would have a variety of layers to provide the energy; a short GRB is missing this. Therefore, the current model of a short GRB is a merging of two neutron stars (http://www.eso.org/outreach/press-rel/pr-2005/pr-26-05.html). 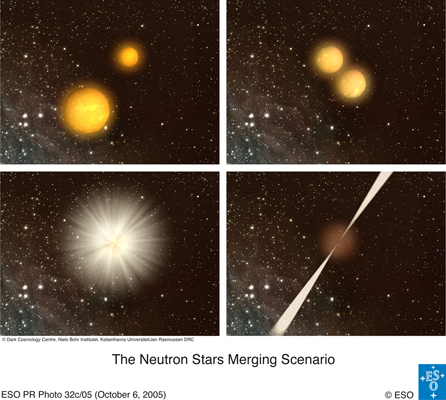 Figure 27: The merging neutron star scenario. What supports the short GRB model most of all is the lack of a significant optical afterglow that would have resulted from a supernova. Such afterglows are present in long GRB events. Over 2/3’s of all GRB events are long GRB’s (Gou et al., 2004). These events last longer than 2 seconds. As a result, most of our data in determining the nature of GRB’s is based on long GRB events. The model for long GRB’s is a hypernova resulting from a star with a solar mass of 30. An optical counterpart to a long GRB and matching spectra to supernova (see the comparison table above) support the supernova model. Additionally, the SWIFT gamma-ray satellite has detected near-infrared afterglows as well as Iron spectral lines from long GRB’s – data that also supports the hypernova model (Gou et al., 2005)(Berger et al., 2005). In this case, the SWIFT observatory plays a key role in finding not only GRB events, but also searching for the faint afterglows that would otherwise be hidden from Earth-based telescopes. 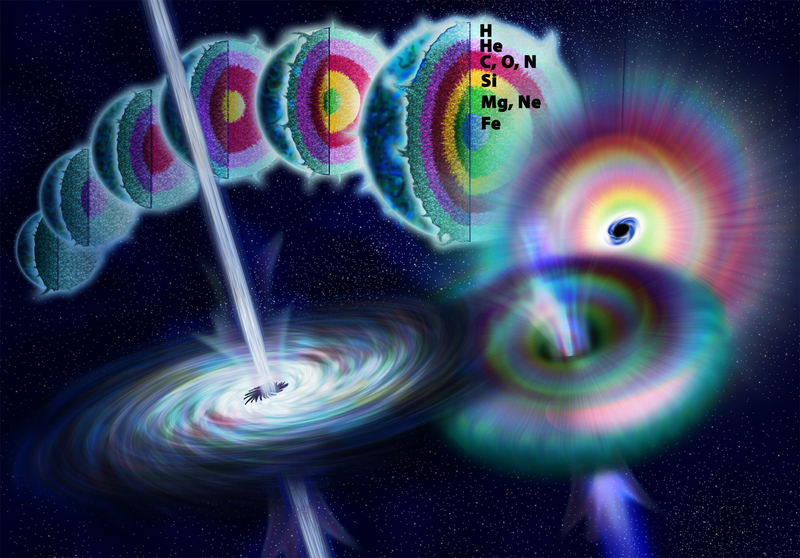 Figure 28: The history of a massive star to a black hole emanating gamma-rays. Figure 28 (above) sums up the hypernova model quite nicely. 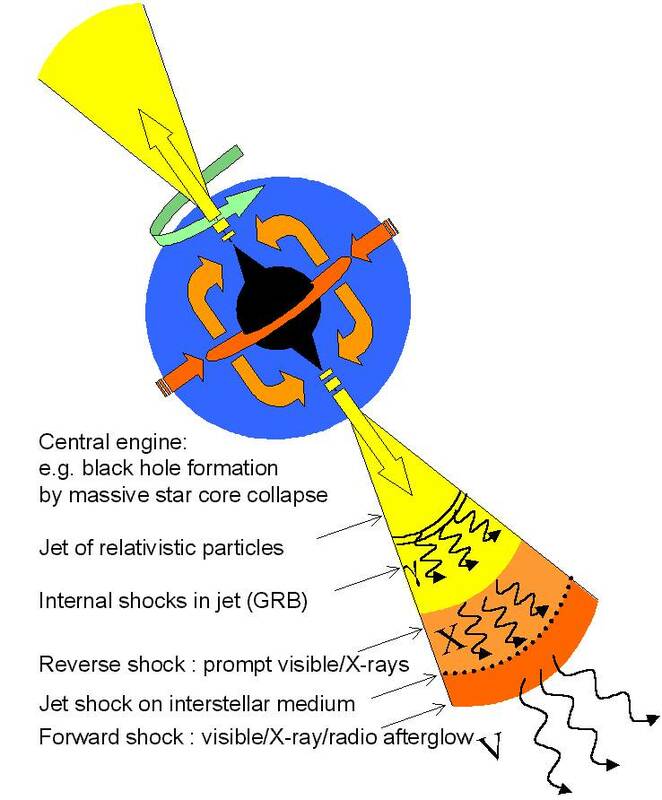 The formation of a black hole is inferred from a very high mass star that also emanates a burst of gamma-rays (the GRB’s) in the form of two jets. Figure 29: The jet model of a GRB. Figure 29 goes into detail the jet model of a GRB. Make a note of the gamma symbol in the yellow, the letter X in the orange and the letter V outside the jet. These correspond to the frequency of the jet at the given location. The gamma-ray emission is the result of the initial supernova explosion – evident of the iron lines in the spectra. Additionally, there are presumed to be several concentric shells of material moving at a variety of speeds. These speeds indicate the energy that is emitted. The slower the expanding shell, the more energy is built up hence the long afterglow into the radio spectrum. 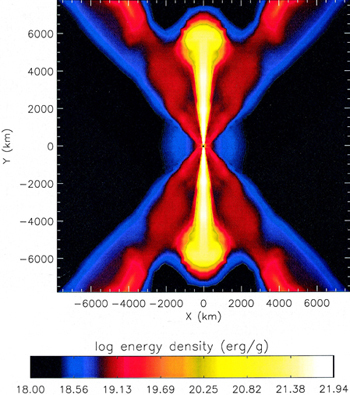 Data from the XMM-Newton X-Ray observatory and supercomputer simulations have “solved” the GRB mystery (http://www.pparc.ac.uk/nw/press/gamma.asp). Supporting the data from SWIFT and the HETE-2, a long GRB is the result of a collapsar, or hypernova – a supernova of a high mass star that forms a black hole. A side view of a computer simulated GRB shows the most intense energy (yellow) being collimated along the direct line of sight of the relativistic jets from this hypernova model. The other colors are analogous to the energy spectrum – red for X-Ray and blue for radio. An interesting article appeared in the November 2005 issue of Astronomy Magazine. The article discusses the possibility of life in our galaxy and includes a section on the effects of a nearby GRB to life on Earth. A nearby GRB would destroy our Ozone layer and create a smog of Nitrous Oxide. DNA is destroyed by the UV-B rays from the Sun. It can take several months for the Ozone to regenerate, but at a paltry 20%. Several years later, the nitrous oxide is rained out as acid rain. A few years after, the atmosphere returns to normal, but the Earth is now in a global cooling trend (Image Credit). A GRB is a violent event, and is also deadly to life on Earth if a GRB were to occur near us. There is speculation that such an event may have contributed to the dinosaur extinction, but there is little data to support this. Long Gamma-Ray Busts – events lasting longer than 2 seconds that are the result of a collapsar or hypernova, a type of supernova of a very high mass star. While Gamma-Ray Bursts are primarily a cosmological event, there are a handful of events that have occurred closer to Earth. It is inferred that such an event probably assisted in the extinction of life on Earth millions of year ago. The models that describe the Gamma-Ray Burst are in their infant stages, but this is a perfect example of observational data supporting computer and mathematical models. Additionally, further study using tools like SWIFT and HETE-2 will provide the continuum of data required to solidify these models. Berger, E. et al. “The Discovery of the Optical and Near-IR Afterglows of the First SWIFT Gamma-Ray Bursts.” The Astrophysical Journal, 629:328-333, August 10, 2005. Bjornsson, G.; Hjorth, J.; Pedersen, K. and J.U. Fynbo. “The Afterglow of GRB 010222: A Case of Continuous Energy Injection.” The Astrophysical Journal, 579:L59-L62, November 10, 2002. Briggs, M.S. et al. “Observations of GRB 990123 by the Compton Gamma Ray Observatory.” The Astrophysical Journal, 524:82 – 91, October 10, 1999. Charles, Philip and Frederick Seward. Exploring the X-Ray Universe. Cambridge University Press, 1995. Dai, Z.G. and T. Lu. “The Afterglow of GRB 990123 and a Dense Medium.” The Astrophysical Journal, 519:L155-L158, July 10, 1999. Frail, D.A. et al. “GRB 012222: A Burst Within a Starburst.” The Astrophysical Journal, 565:829-835, February 1, 2002. Freedman, Rodger and William Kaufmann II. Universe. Seventh Edition.” W.H. Freeman and Company. New York, 2005. Galama, T.J. et al. “Evidence for a Supernova in Reanalyzed Optical and Near-Infrared Images of GRB 970228.” The Astrophysical Journal, 536:185-194, June 10, 2000. Galama, T.J. et al. “Hubble Space Telescope and Ground-Based Optical and Ultraviolet Observations of GRB 010222.” The Astrophysical Journal, 587:135-142, April 10, 2003. Guetta, Dafne; Perna, Rosalba; Stella, Luigi and Mario Vietri. “Are All Gamma-Ray Bursts Like GRB 980425, GRB 030329, and GRB 031203?” The Astrophysical Journal, 615:L73-L76, November 10, 2004. Hendon, Arne. “Observing Gamma-Ray Bursters by Amateurs.” Encyclopedia of Astronomy & Astrophysics, 2005. Hurley, Kevin. “Gamma-Ray Bursts.” Encyclopedia of Astronomy & Astrophysics, 2005. Gehrels, N. et al. “The SWIFT Gamma-Ray Burst Mission.” The Astrophysical Journal, 611:1005-1020, August 2004. Gou, L.J. ; Meszaros, P.; Abel, T. and B. Zhang. 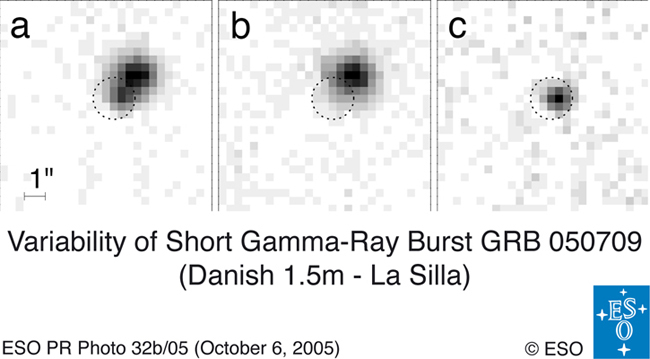 “Detectability of Long-Gamma-Ray Burst Afterglows from Very High Redshifts. “ The Astrophysical Journal, 604:508-520, April 1, 2004. Gou, L.J., Meszaros, P. and T.R. Kallman. “Detectability of Gamma-Ray Burst Iron Lines by SWIFT, CHANDRA, and XMM-Newton.” The Astrophysical Journal, 624:889-897, May 2005. Guetta, Dafne; Rosalba, Perna; Stella, Luigi and Mario Vietri. “Are All Gamma-Ray Bursts Like GRB 980425, GRB 030329, and GRB 031203?” The Astrophysical Journal, 615:L73-L76, November 10, 2004. Jakobsson et al. “SWIFT Identification of Dark Gamma-Ray Bursts.” The Astrophysical Journal, 617:L21-L24, December 2004. Krzysztof, Z. et al. “Rapid UBVRI Follow-Up of the Highly Collimated Optical Afterglow of GRB 010222.” The Astrophysical Journal, 563:592-596, December 20, 2001. Meszaros, R. “Theories of Gamma-Ray Bursts.” Annual Review of Astronomy and Astrophysics – Pre-Print, 2001. Mukherjee, Soma et al. “Three Types of Gamma-Ray Bursts.” The Astrophysical Journal, 508:314-327, November 1998. Murakami, T.; Yonetoku, D.; Umemura, M.; Matsubayashi, T. and R. Yamakazi. “The Reionization History and Earlt Metal Enrichment Inferred from the Gamma-Ray Burst Rate.” The Astrophysical Journal, 625:L13-L16, May 30, 2005. Nadis, Steve. “Do We Live in a Cosmic Shooting Gallery?” Astronomy Magazine, November 2005, pages 34 to 41. Prantzos, Nikos. “Gamma-Ray Astronomy.” Encyclopedia of Astronomy & Astrophysics, 2005. Vanderspek, R. et al. “HETE Observations of the Gamma-Ray Burst GRB 030329: Evidence for an Underlying Soft X-Ray Component.” The Astrophysical Journal, 617:1251-1257, December 20, 2004. Waxman, Eli. “The Nature of GRB 980425 and the Search for Off-Axis Gamma-Ray Burst Signatures in Nearby Type 1b/c Supernova Emission.” The Astrophysical Journal, 602:886-891, February 20, 2004. Weeks, Trevor. “Gamma-Ray Telescopes.” Encyclopedia of Astronomy & Astrophysics, 2005. Wijers, R.A.M.J. and T.J. Galama. “Physical Parameters of GRB 970508 and GRB 971214 from their Afterglow Synchrotron Radiation.” The Astrophysical Journal, 523:177-186, September 20, 1999. Gamma-rays are at the high energy end of the electromagnetic spectrum. They are merely photons that have very high energy (higher than X-rays) and can come from sources of extreme heat or intense energy. The term “telescope” does not necessarily mean an optical device. Any tool used to view a phenomenon in the electromagnetic spectrum can be called a telescope – this means radio dishes, satellites, even antennae. Iron is formed during the last stages of a high mass star. Since Iron cannot fuse with other Iron atoms, it is blown apart along with the rest of the star during a supernova. A black hole is a stellar core remnant of a star that is greater than 10 solar masses.